This pair of industrial inspired jars will make a quirky and decorative storage solution - the perfect feature for a modern kitchen. 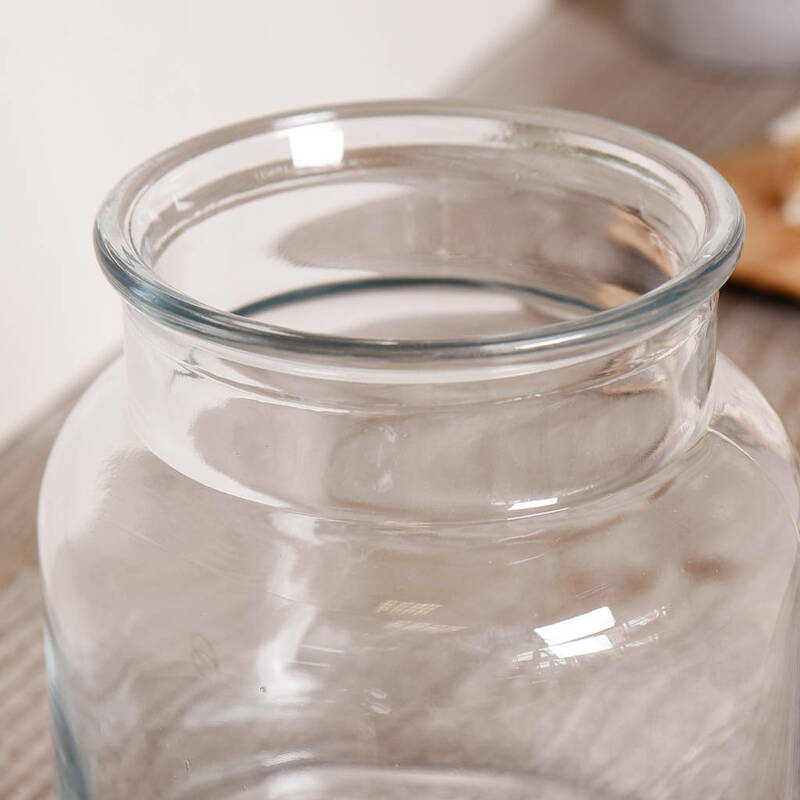 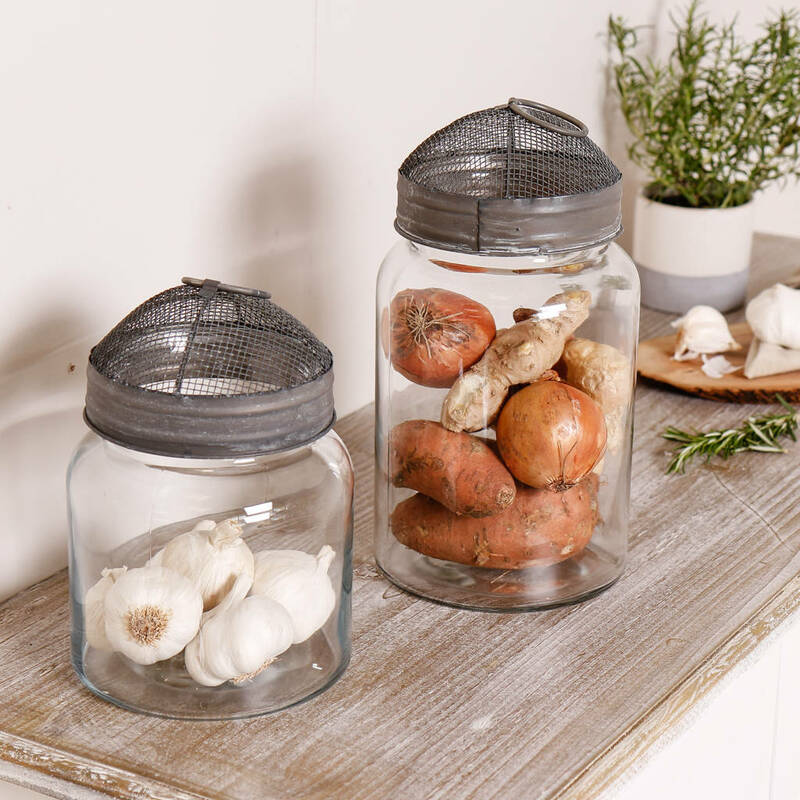 Made of high quality glass that will last for years to come, these versatile storage jars come in both small and large sizes. 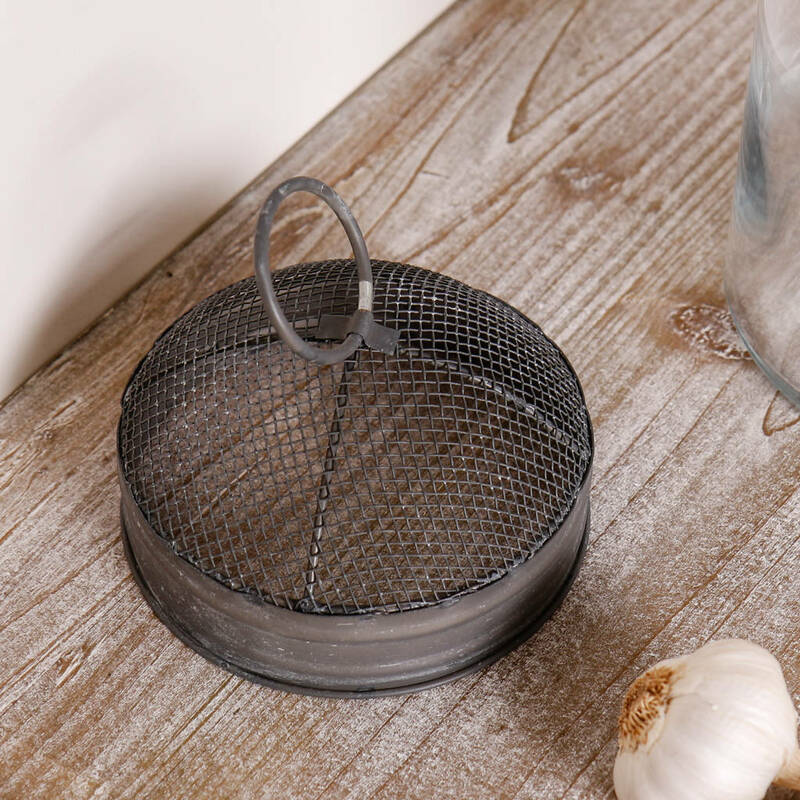 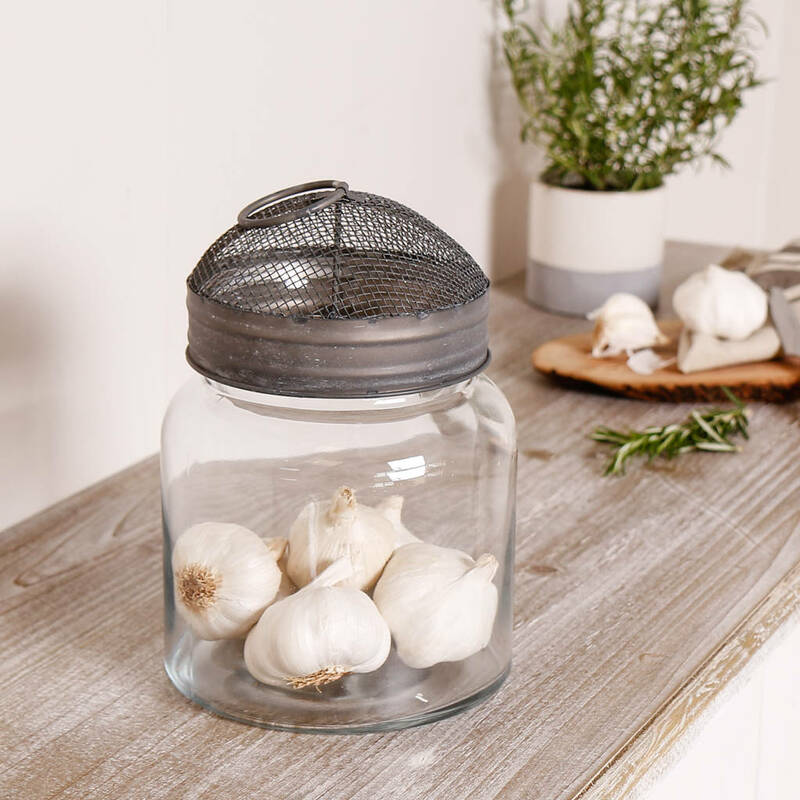 Featuring a metal mesh lid, with a deliberately distressed finish for a stylish vintage look that will add a touch of character to your home. 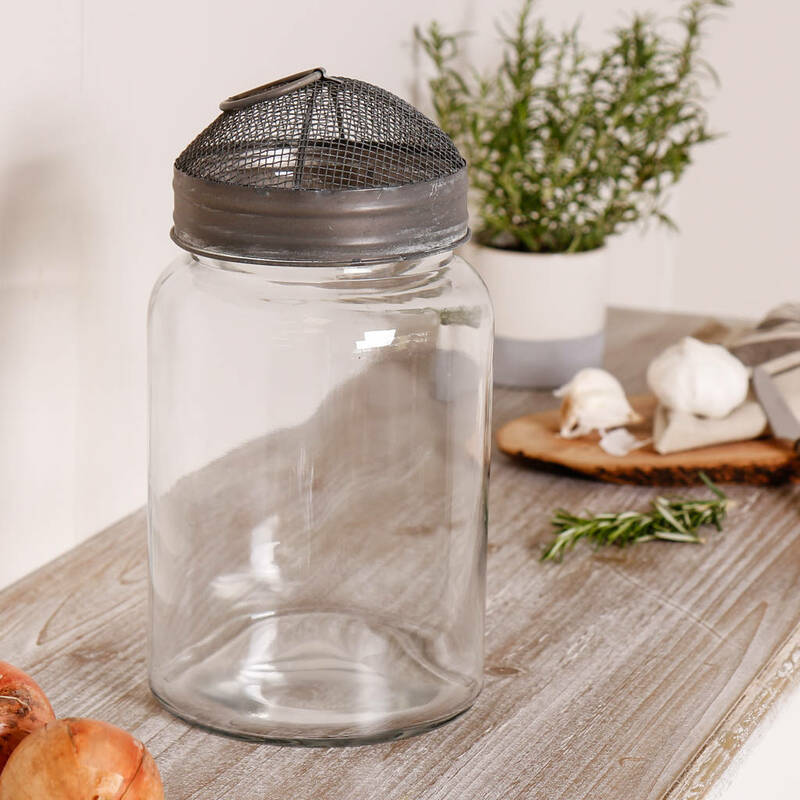 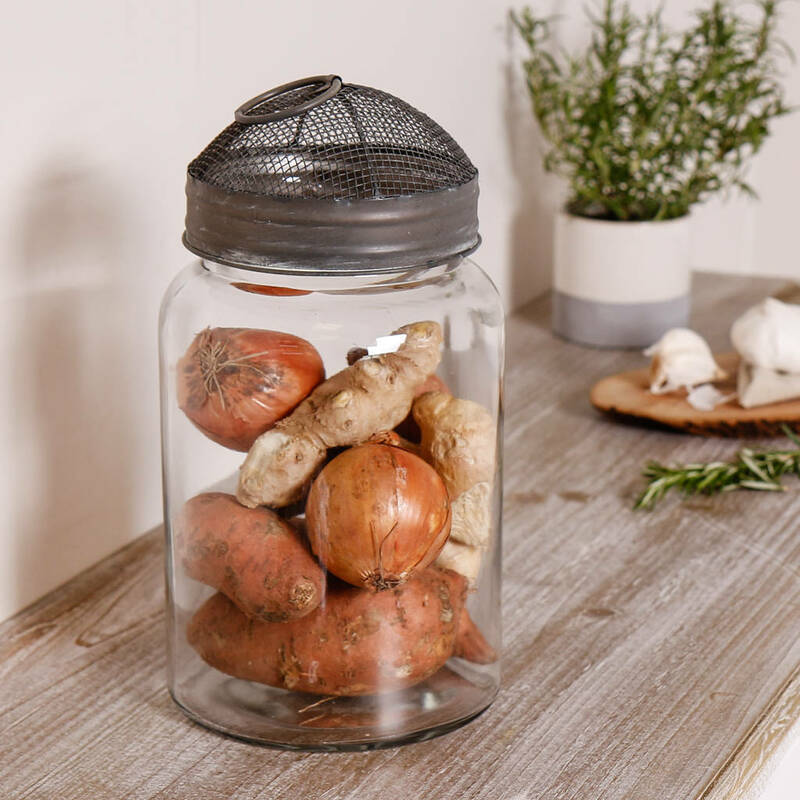 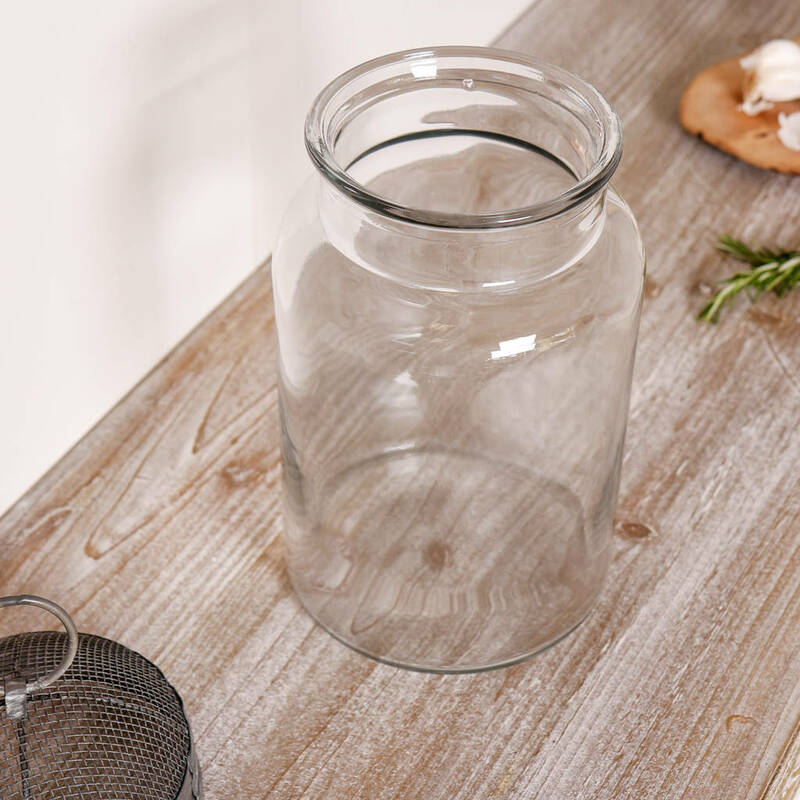 This practical and breatheable glass jar set is ideal for holding fresh produce, or even as a quirky way to display pot pourri. 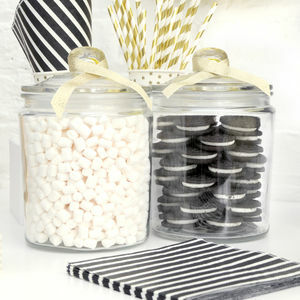 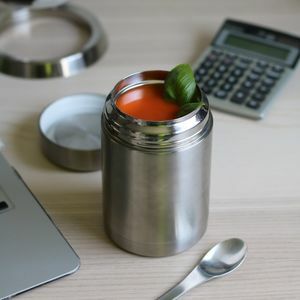 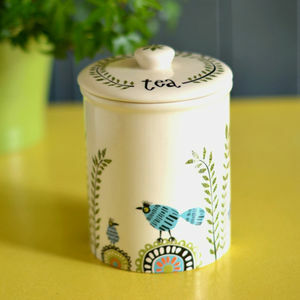 An unusual gift idea for a housewarming or wedding, these contemporary canisters are perfectly on trend! 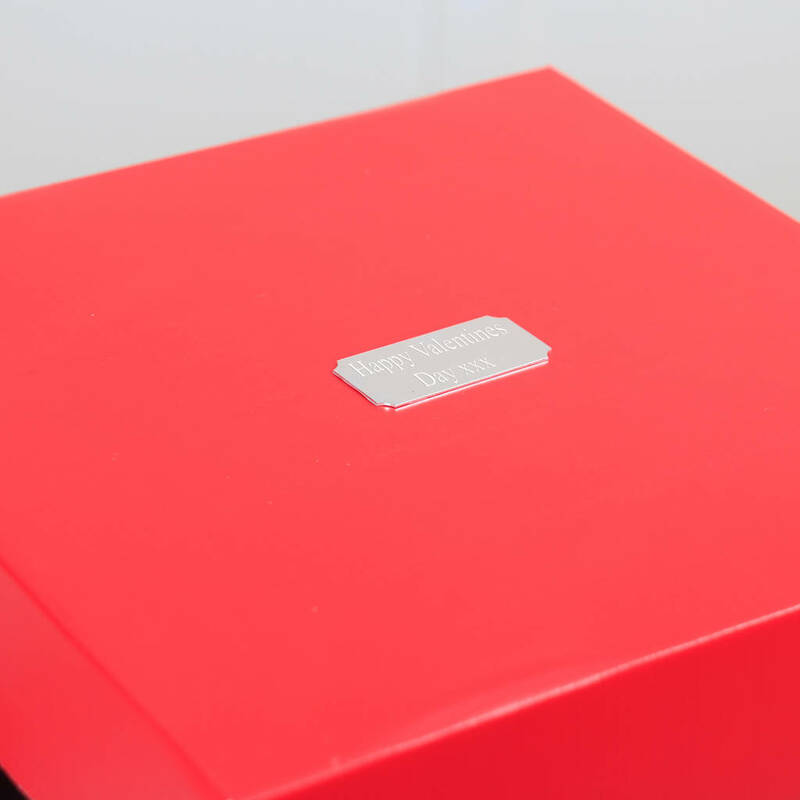 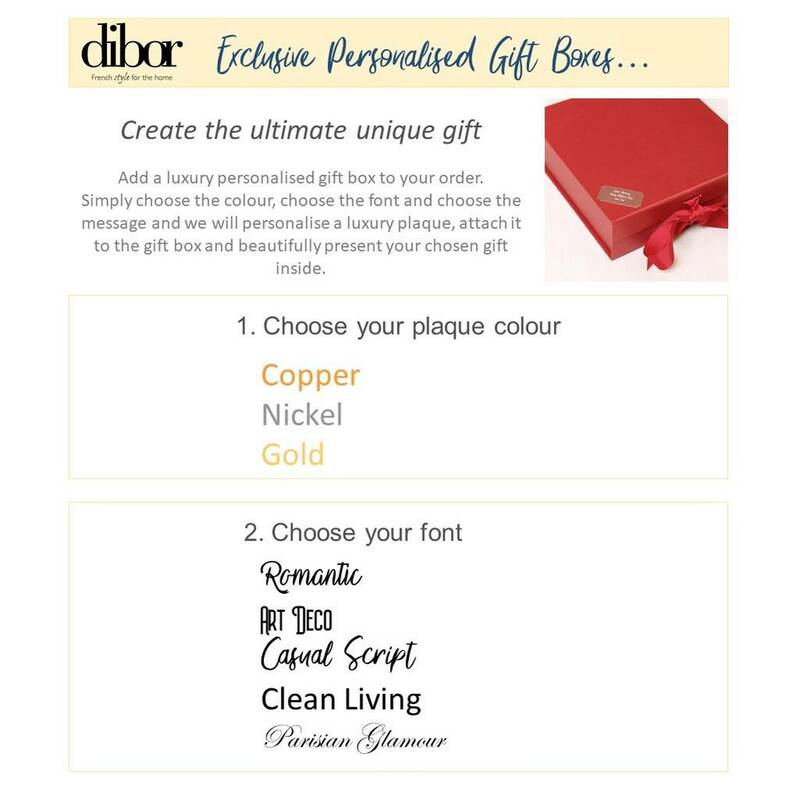 PERSONALISED GIFT BOX – Exclusive to Dibor – complete your gift with a one of a kind, personalised luxury keepsake box. 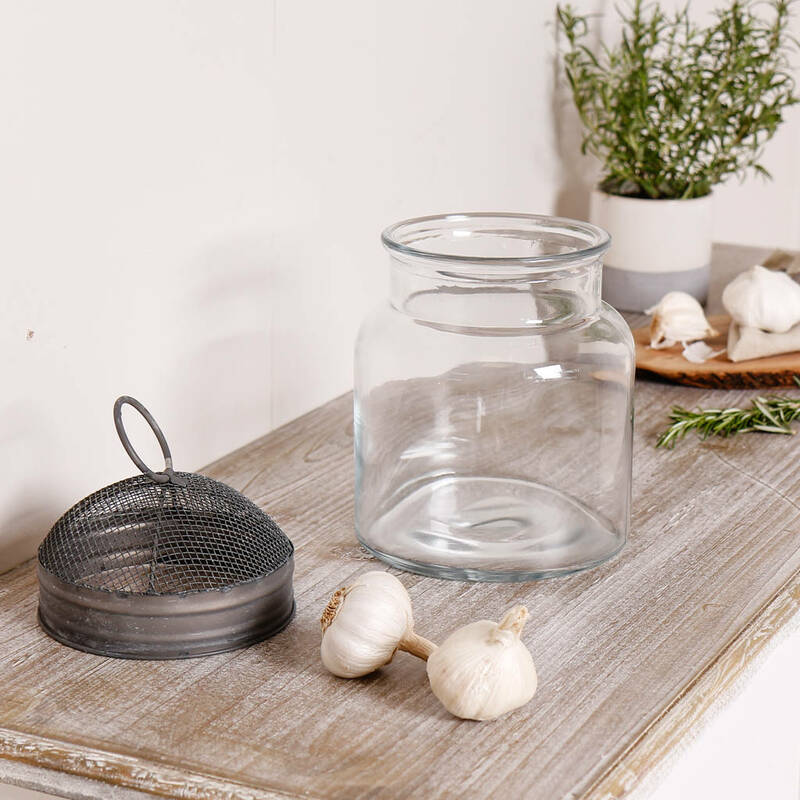 Made of strong, durable board, with an engraved metal plaque to the lid, this unique finishing touch is sure to raise a smile, and create a perfect keepsake that can be cherished for years to come. 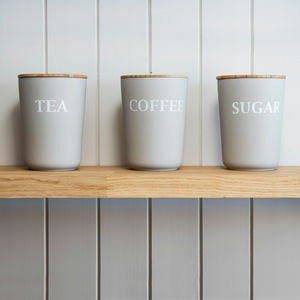 All engraving is done in house at the Dibor West Yorkshire Mill studio, by our specialist team, and with your purchase being engraved, polished and packaged by hand, we’re confident that we can meet – and exceed – your expectations for a truly luxurious, unusual keepsake that can be enjoyed for years to come.